This chapter is focusing on the management of dysphagia caused by the treatment of oral cancer. The causes, site-specific characteristics, evaluation, and treatment of dysphagia following oral cancer treatment are introduced in detail. The noninstrumental evaluating methods, the cervical auscultation, the videofluoroscopic swallow study, the videoendoscopic swallow study, and the ultrasound study are introduced in the section of the evaluation methods for dysphagia. The treatment methods for dysphagia include the airway clearance techniques, the compensatory techniques, and the swallow exercises. The short-term intensive dysphagia rehabilitation is also introduced. The sophisticated techniques and newly developed methods in both evaluation and treatment for dysphagia are introduced with a lot of clinical figures. 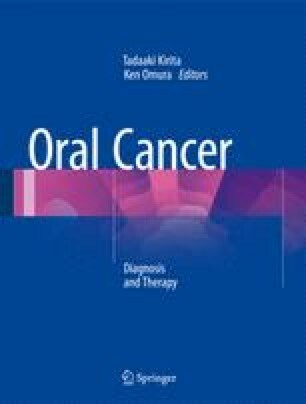 Chapter 16 and this chapter provide the clinicians the way how to manage the oral and pharyngeal dysfunction caused after the treatment of oral cancer.